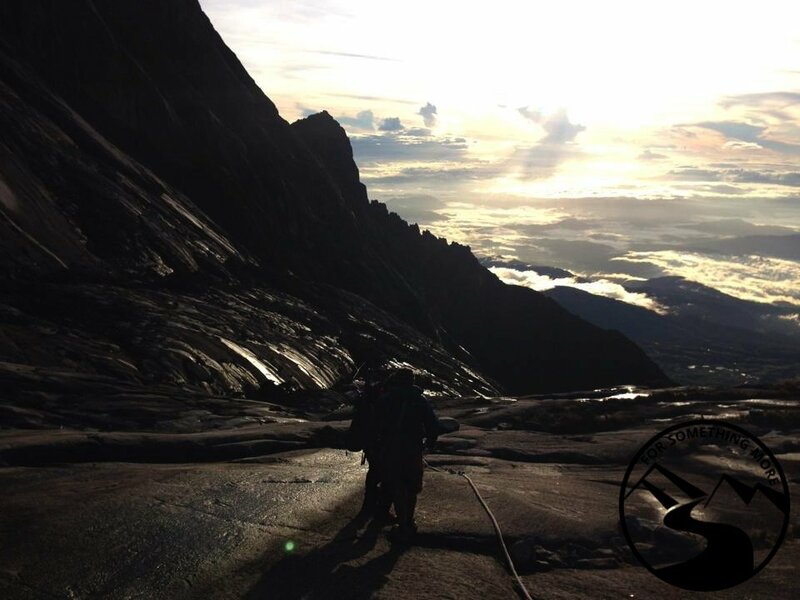 Travel to Malaysian Borneo – The Adventure of a Lifetime Awaits! Spot Orangutans on a Safari in Sabah! Would you describe yourself as an adventure seeker? How about a nature lover? Are you somebody who enjoys the sounds of the outdoors and is thrilled by the possibility of a rare animal encounter? How about someone who appreciates and relishes in meeting other travelers and gathering around a table at night to sing familiar tunes together? 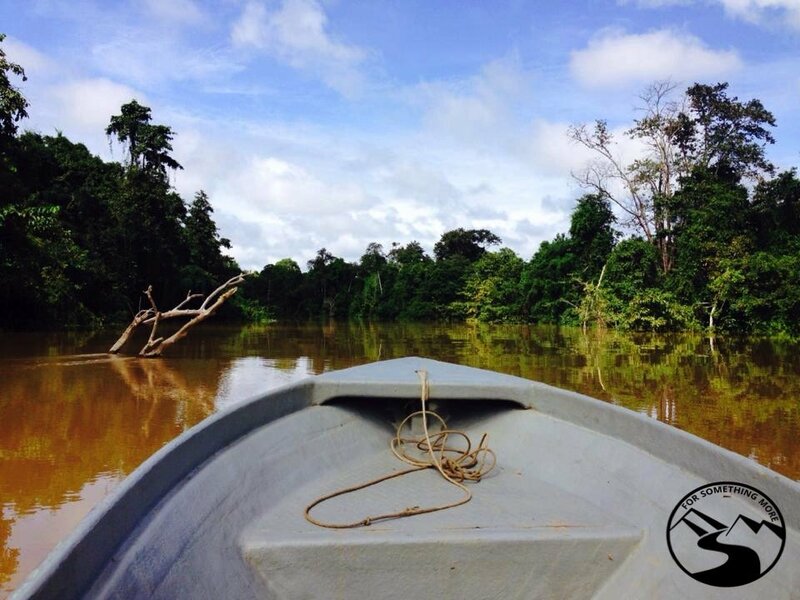 If you’ve answered ‘yes’ to any of the above, we STRONGLY recommend you travel to Malaysian Borneo, and specifically visit the Kinabatangan River just south of Sandakan. The staff at Uncle Tan’s were friendly, informative and a whole lot of fun! What is Uncle Tan’s Wildlife Adventures? 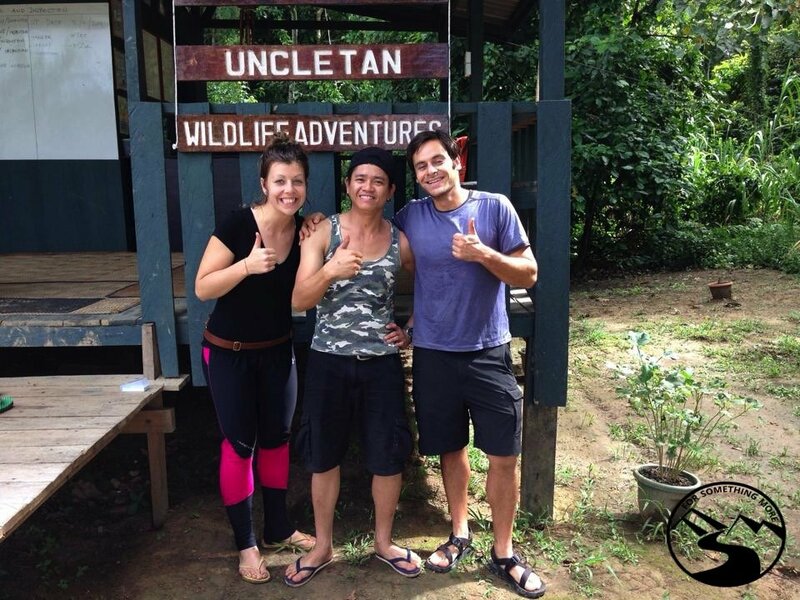 Uncle Tan began taking visitors to the lower Kinabatangan region almost 30 years ago! He believed in showing locals and tourists the unadulterated wilderness that makes up much of Borneo. That is why now, when you travel to Malaysian Borneo and visit Uncle Tan’s Wildlife Camp, there are no frills and no luxury. When you’re at Uncle Tan’s, plan on feeling yourself become part of the breathtaking natural surroundings of the Kinabatangan river valley. Uncle Tan’s guides are locals who know the behavior of the wildlife and have a lot of experience taking small groups of visitors to remote places in the jungle to spot orangutans, proboscis monkeys, flying foxes, and many other rare but beautiful species. Are you ready to rough it? 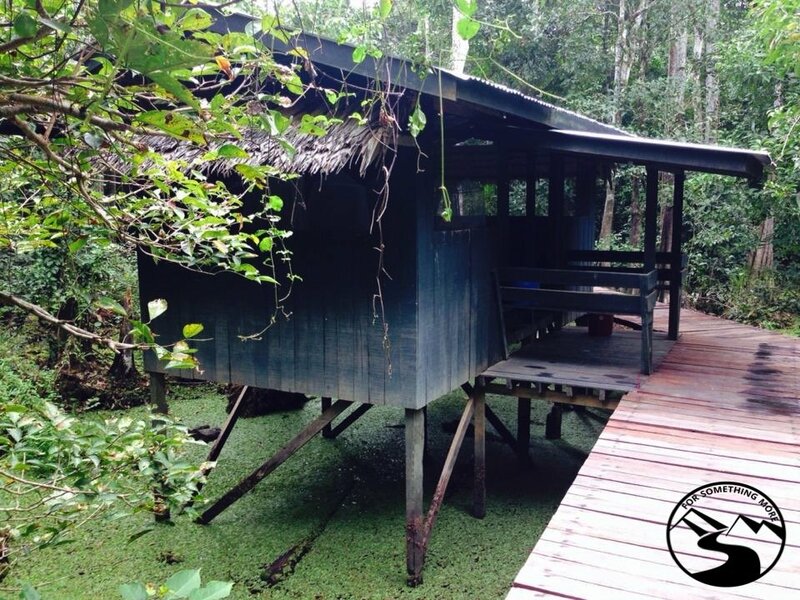 At Uncle Tan’s Wildlife Adventures camp, lodging is simple. Expect to sleep in a stilted cabin without doors. There are mattresses on the floor, and there is mosquito netting draping over top to protect you from the jungle bugs. Visitors are advised to put anything with an odor (deodorant, toothpaste, mouthwash, shampoos, soap) inside a plastic bucket with a sealed lid to protect from little critters (the camp provides this bucket). A few minutes walking from the cabins, there are outhouses and sinks for showering and washing up. A large wooden shelter, designed to protect guests from the elements, is where all of the meals are served. Often times in the evenings, this is where travelers gather around for a drink and a song or two while they swap travel stories. When you travel to Malaysian Borneo, don’t expect five star luxury, but do expect a life changing and immersive experience in some of the world’s most pristine rainforest. The stilted huts (with ample bug netting) were both cozy and comfortable! 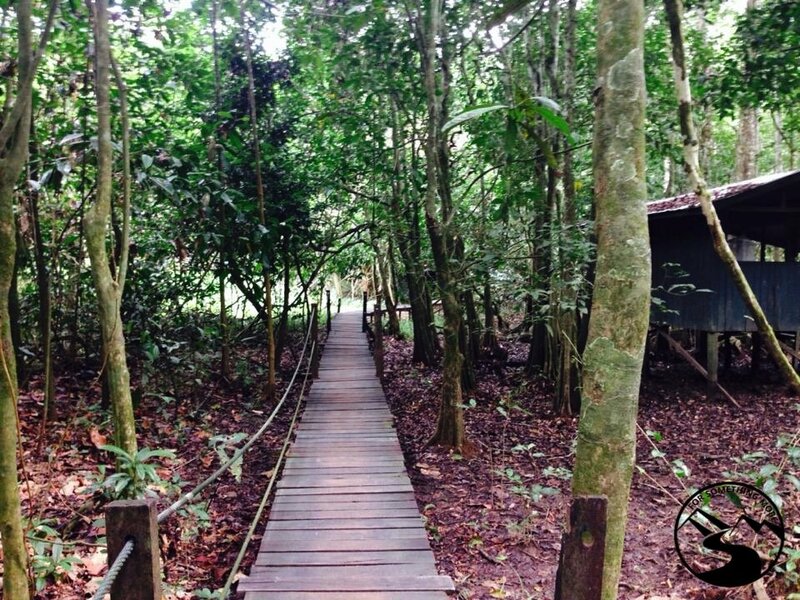 Walking through camp was a breeze because of these wooden walkways! While you’re at Uncle Tan’s there are a number of different activities you can opt to do. 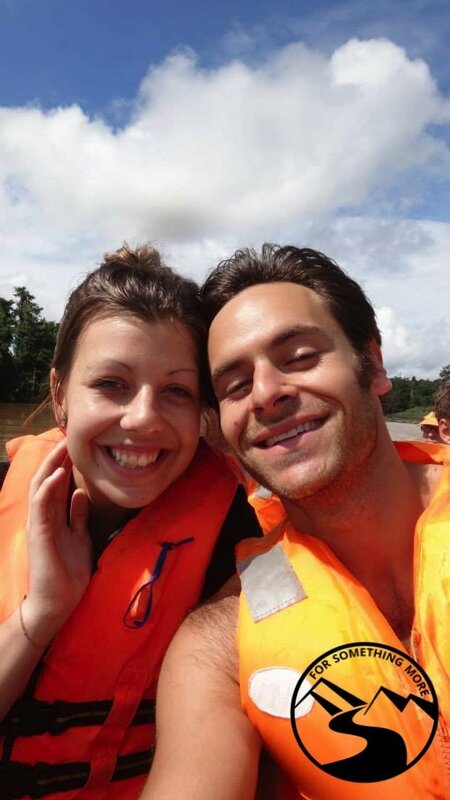 River Safari – Hop on board a small 6-8 person motorboat to explore the nearby river banks. From the boat, the guide can spot a plethora of wildlife including flying foxes, proboscis monkeys, kingfisher, hornbills, pittas, macaques, saltwater crocodiles, and orangutans. We rode on these boats during our river safari! Jungle Safari – Sometimes, orangutans hide further inland and you could spot them later in the day by walking through the jungle. 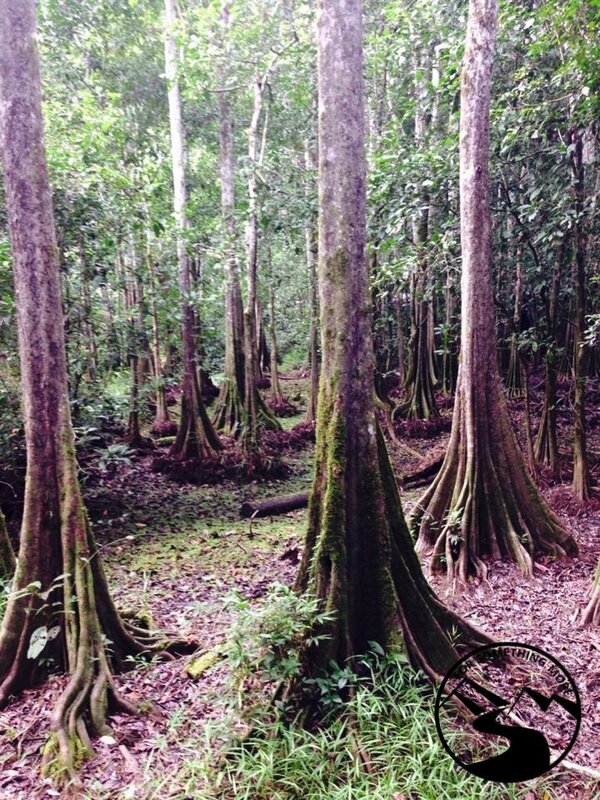 We wore rubber boots (Uncle Tan’s provided them) when we walked through the muddy rainforest. The tree roots mesmerized us! 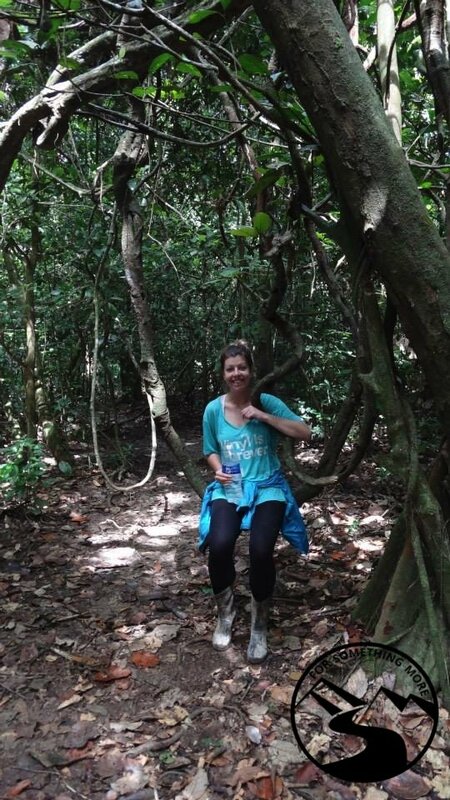 Jungle Walk Night Safari – The best time to spot birds, snakes, and the Bornean slow loris is at night. Volleyball / Soccer – At Uncle Tan’s there is a large open area with a volleyball net. In between safaris, gather a team of new friends and play some friendly games of volleyball, soccer (football), or any game that requires a ball! Singing / Guitar – As I mentioned above, you can enjoy gathering with other travelers in the evening times around the table to sing and play a few familiar songs. The guides had a guitar that they shared with guests. Even though we are all from different places, we can connect through music! When you travel to Malaysian Borneo, you’ll most likely be coming from Kota Kinabalu. Take a bus from Kota Kinabalu to Sandakan. Contact Bintang Jaya Express to purchase tickets. It’s a 6 hour journey and the most economical option when traveling to Sandakan from KK. Take a flight from Kota Kinabalu to Sandakan. AirAsia and Malaysian Airlines have daily flights from Kota Kinabalu to Sandakan. Uncle Tan’s Wildlife Adventures has its Operations Base at Labuk Square, Block A, Lot 1, First Floor, Mile 9, Labuk Road, Sandakan. All adventures begin there! If you arrive at the Ops Base early, and have a few hours to kill, consider checking out the nearby Sepilok Orangutan Sanctuary. 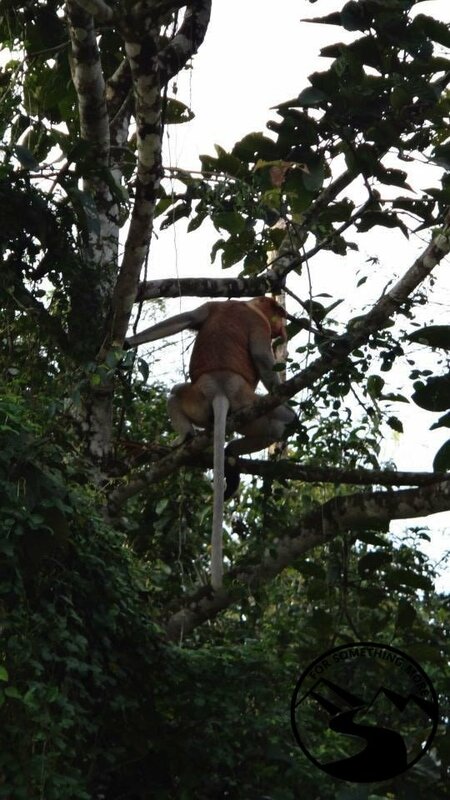 The GREAT thing about spotting orangutans in Malaysian Borneo is that you can do it, and have great success, ALL YEAR ROUND! The rainy season in Sabah is considered March – September. 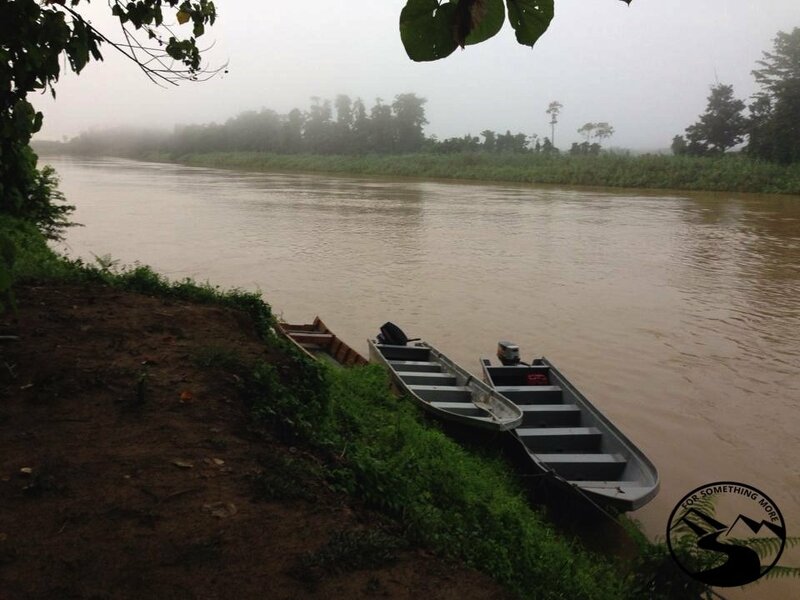 The benefit of adventuring in the rainy season is the rivers and tributaries are higher, therefore boats can squeeze through the nooks and crannies and access more secluded places to spot wildlife. The dry(er) season in Sabah is considered October – February. The benefit of adventuring in the dry(er) season is there is less water in the river, leaving banks drier, giving those who wish to spot wildlife more of a chance of spotting them coming to the edge of the banks to drink. A view of the Kinabatangan River. When you travel to Malaysian Borneo, you’ll want to be prepared. 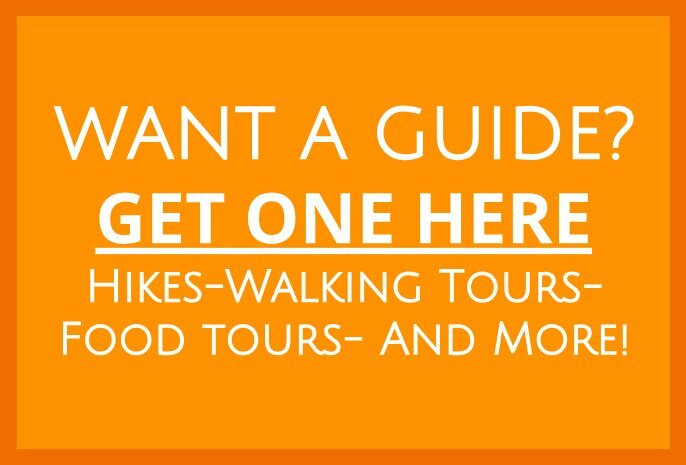 Here is a list of items that are essential for your excursions at Uncle Tan’s! Tip: BRING ONLY WHAT YOU’LL NEED. Leave the rest at the Ops Base. rain jacket – I use this Marmot raincoat*, and Seth uses this Marmot raincoat (it’s the same as mine, just cut for men). You may want to bring a water bottle with a filter, so you can drink from any water source anywhere without having to worry about getting sick! At Uncle Tan’s they only sell disposable plastic bottles of water at camp. Spotting orangutans in Malaysian Borneo was one of our most memorable experiences in Asia. 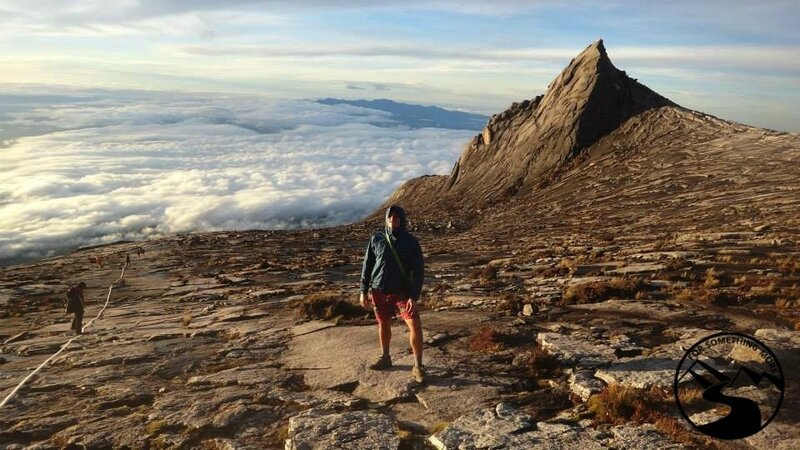 Additionally, when you travel to Malaysian borneo, consider climbing Mount Kinabalu! Take a look at some of our photos from that incredible experience. On the way up to the Laban Rata Resthouse, we had to carry light provisions. Looking down on Laban Rata Guesthouse (from our ascent up Mt. Kinabalu.). We left there before sunrise. Not yet even at the top of Mt. 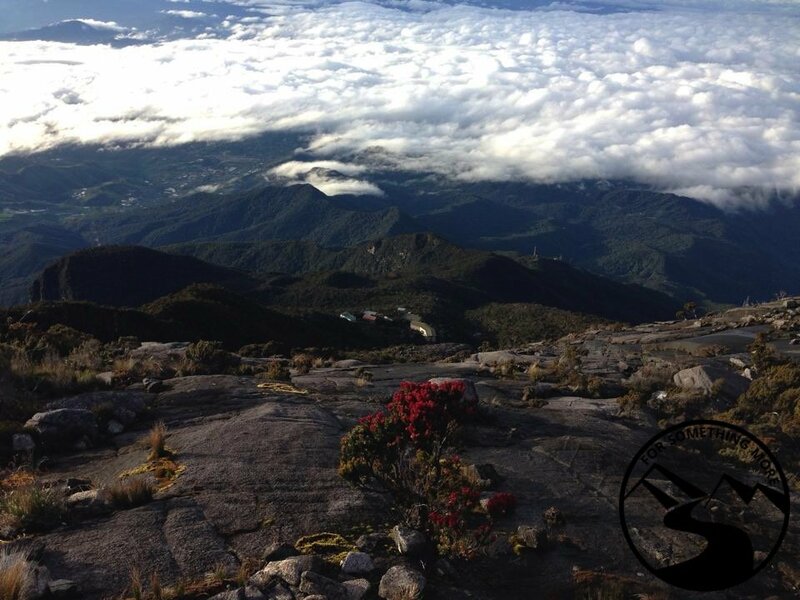 Kinabalu, we were already above the clouds! The sunrise from the top of Mt. 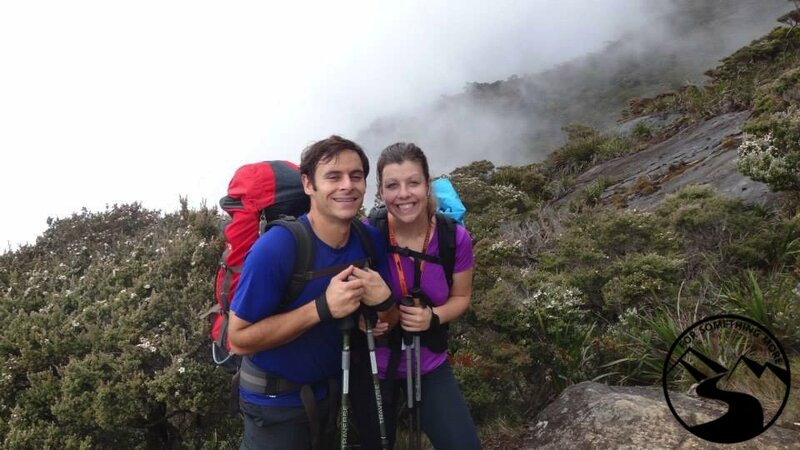 Kinabalu was not only gorgeous, but it brought with it some much needed warmth! It was cold at 4095m/13,454ft! For most of the hike up Mt. 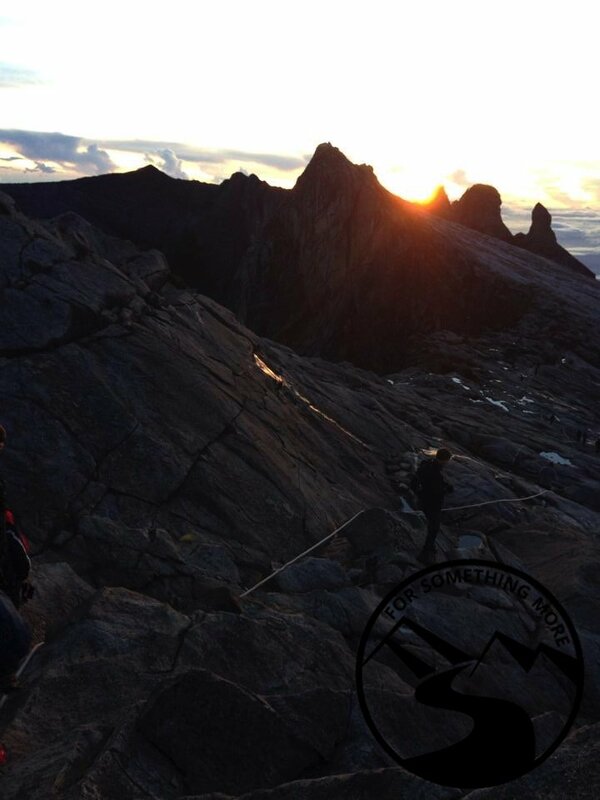 Kinabalu, we didn’t rely on these ropes, but at a few places, we were glad to have something to grab on to! If you’re up for another adventure in a nearby part of the world, consider checking out El Nido in the Philippines, or if you’re willing to take a plane ride or two, you should spend some time in the pristine tropical paradise of Palau! 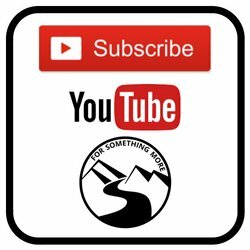 No matter what you decide, now you have all the info you need to craft your own off the beaten path adventure travel experience, so leave us a comment below, or reach out to us here letting us know what you think about all of this!